Each sign of the zodiac is a gateway to individual behaviour and psychological traits. In turn, these are represented in Jung�s theory of archetypes -- the common experiences of the human race. 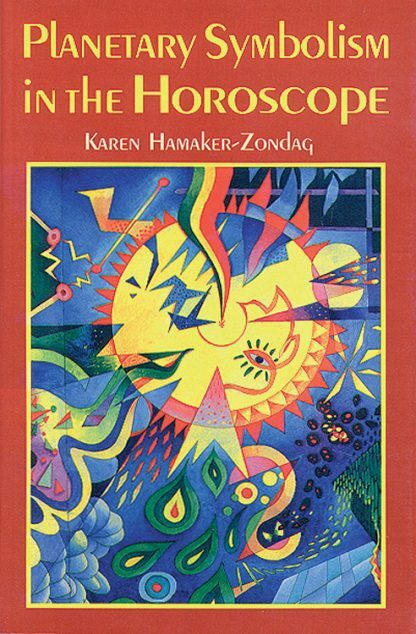 Combining traditional astrology with Jung�s theories, Karen Hamaker-Zondag gives students of astrology a firm foundation for interpreting charts. Planetary Symbolism in the Horoscope guides astrologers who want to understand the horoscope�s psychological implications. Karen Hamaker-Zondag is the author of fifteen books, including The Twelfth House and Tarot as a Way of Life. She is a recipient of the 1998 Regulus Award for Education from the UAC, founder two schools: Stichting Achernar, an astrological school; and Stichting Odrerir, a school of Jungian Psychology. With her husband Hans, in 1990, she started Symbolon, a successful quarterly astrological journal. Karen lives near Amsterdam with her husband and two children.